Hello, I like this game and it is very fun, But this game needs sone improvements! 1. 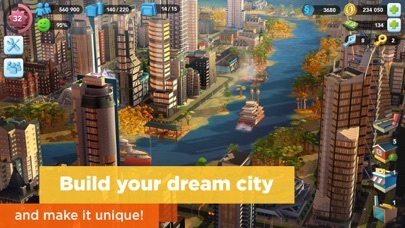 I wish there was a way you can create a sim and be part of the city. 2. After you create a sim, I wish there was a way you can walk around the city and go inside the houses, schools, and commercial buildings. 3. Please lower the level to unlock a new region. Lower It to level 18, Please do that. 4. After you buy items at a commercial building or produce it, It will may appear in your home. 5. I wish there was a way you can buy houses in the game. You Can Build, Then buy a house for a minimum of 5000 Simoliens and a maximum of 50000 Simoliens. I hope you add all those things in. And add a create-a -sim button in the settings. I hope you add all those things in the game. And My city has lots of skyscrapers.-SWANNYJOCKER. I wish this game offered many more items in the global marketplace. I waste a lot of time trying to buy certain items. 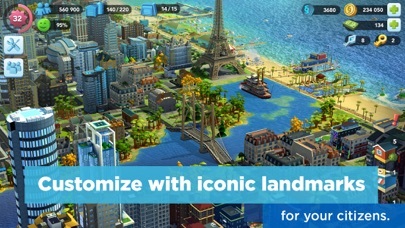 I don’t mind micro transaction...but when they want $5 for a single tiny building then forget it. It’s reasonable if $5 or $10 lasts you 2 weeks or longer, but literally, most things require $5-$10 and is gone in seconds. And while this game works as a very VERY casual game to play, you absolutely can’t play it like a normal game. It will literally take you 1-3 hours just to build the items needed to upgrade a single building. It’s really sad. Again, I don’t have an issue with in app purchases, but if you have to spend $100-$300 in order to get a satisfactory experience, you know they’ve taken it too far. 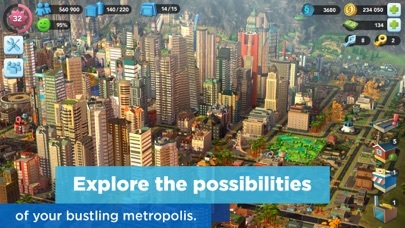 I feel like if you guys added a SandBox mode to SimCity it would help the game, since I am a type of player that likes building the city, but not so much having to acquire Simoleons, items, etc. to do it. Thank you! Please make it to where you can sell omega items!!! 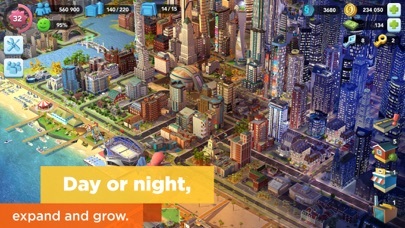 Not Sim City. A lazy attempt at Sim City. A while back I played this game. 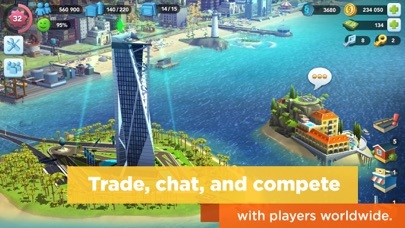 Loved it, it was fun and I got my city to 4.95M people. I deleted the game one day to save a bit of space (it was connected to Facebook) and when I reinstalled it all my progress was lost. This game is fun and is good but over the time it kind of gets boring.